3. Easy to use, glide your finger over the touchpad. ACK-540 Mini Keyboard also come in black to fit with your classy design. It provides a high-end graphics and pixel-point control which allows you to work quickly and efficiently. The Mini-Input combines the most precise control into one powerful computing device. 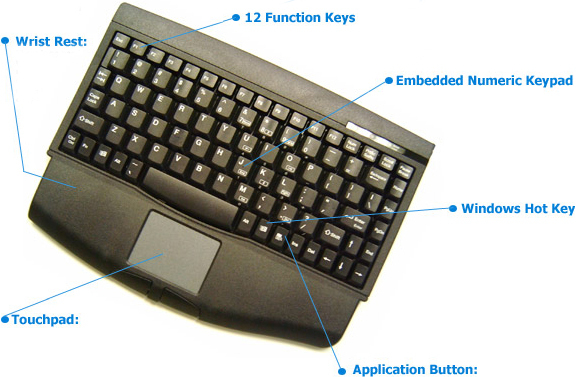 Enhanced 88/89 keys keyboard with embedded numeric keypad, 12 dedicated function keys and built-in Touch pad technology, this keyboard will be the best companion.